Behavioral and psychological symptoms associated with dementia are highly prevalent and are associated with an increased risk of institutionalization and mortality. Current pharmacological treatments for these symptoms include cholinesterase inhibitors, antipsychotics, and selective serotonin reuptake inhibitors. When used for treating behavioral and psychological symptoms associated with dementia, they are associated with limited efficacy and/or serious adverse events. As such, there has been extensive research into novel agents with varying mechanisms of action targeting behavioral and psychological symptoms associated with dementia. In this article, we present the results of a comprehensive literature search and review that evaluates current agents that have completed or are currently in clinical trials for treating behavioral and psychological symptoms associated with dementia as a primary outcome. We highlight novel agents from miscellaneous drug classes, such as dextromethorphan/quinidine, bupropion/dextromethorphan, lumateperone, deudextromethorphan/quinidine, methylphenidate and scyllo-inositol, and drugs from various therapeutic classes (including atypical antipsychotics, selective serotonin reuptake inhibitors, and cannabinoids) that have demonstrated promising results and were generally well tolerated. Future research with large appropriately powered studies using validated outcome measures for behavioral and psychological symptoms associated with dementia should be conducted to further establish the clinical utility of these agents. No sources of funding were provided for the preparation of this review article. Krista L. Lanctôt has received research grants from the National Institute of Aging for “Apathy in Alzheimer’s Disease Methylphenidate Trial II (ADMET II)” and “Escitalopram for Agitation in Alzheimer’s Disease (S-CitAD)”, Alzheimer Drug Discovery Fund, the Alzheimer Society of Canada (Grant 15–17), Alzheimer’s Association, Canadian Institutes of Health Research, AbbVie, Lundbeck, Pfizer, Sanofi-Aventis, Janssen-Ortho Inc., Roche, and Wyeth; and honoraria from Abbvie and Lundbeck. Nathan Herrmann has received research grants from the Alzheimer Drug Discovery Fund, the Alzheimer Society of Canada, the National Institutes of Health, Canadian Institute of Health Research, Lundbeck, and Roche; and consultation fees from Lilly, Merck, and Astellas. Mehnaz Ahmed, Marlene Malik and Johannes Teselink declare they have no conflicts of interest relevant to the content of this review article. Scale SP, Mcginley E. Intra-Cellular Therapies announces positive top-line results from the first phase 3 trial of ITI-007 in patients with schizophrenia and confirms the unique pharmacology of ITI-007 in a separate positron emission tomography study. Corporate Release. 2015;8–11. http://ir.intracellulartherapies.com/news-releases/news-release-details/intra-cellular-therapies-announces-positive-top-line-results. Accessed 20 Oct 2018. Intra-Cellular Therapies (ICT). Intra-Cellular Therapies presents data on lumateperone, ITI-214 and ITI-333. Corporate Release. 2017;1–2. http://ir.intracellulartherapies.com/news-releases/news-release-details/intra-cellular-therapies-presents-data-lumateperone-iti-214-and. Accessed 22 Oct 2018. Zhang L, Hendrick J. The presynaptic D2 partial agonist lumateperone acts as a postsynaptic D2 antagonist. Matters. 2018;1–4. https://sciencematters.io/articles/10.19185/matters.201712000006. Accessed 24 Mar 2019. Hellebø O, Howell J, Hunt M. Corporate presentation: behavioral disturbances in dementia, including Alzheimer’s Dis. 2007. http://ir.intracellulartherapies.com/static-files/93b08960-f01c-4864-aa22-8cadb3539753. Accessed 23 Oct 2018. Cummings J, Lyketsos CG, Tariot P, Peskind E, Nguyen U. Dextromethorphan/quinidine (AVP-923). 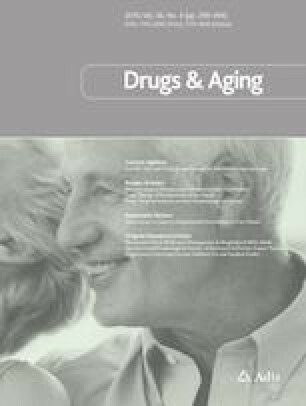 Efficacy and safety for treatment of agitation in persons with Alzheimer’s disease: results from a phase 2 study (NCT01584440). 2015 AAGP Annual Meeting Peer to Peer Behavioral Activa. Am J Geriatr Psychiatry. 2015;23(3):S164–5. https://doi.org/10.1016/j.jagp.2014.12.171. Mitochon Pharmaceuticals. Mitochon pharmaceuticals raises $1.6M for clinical stage development of MP 101; the first mitochondrial targeted agent to treat neurodegenerative diseases [press release] (2016 May 17). https://www.mitochonpharma.com/assets/pdf/2016-04-mitochon-pharmaceuticals-press-release.pdf. Accessed 20 Sept 2018. Axsome Therapeutics. Agitation in patients with Alzheimer`s disease (AD). 2016. http://axsome.com/axs-05/agitation-in-patients-with-alzheimers-disease-ad/. Accessed 20 Sept 2018.